Ginseng (Ren Shen) is a popular herbal tonic that combat fatigue and boosts our immune-system function. The botanical name is known as Panax ginseng C. A. Mey. and the Pharm. name is Radix Ginseng. The plant’s medicinal portion is the root, tasted sweet and slightly bitter. It is warm in property and enters the lung, spleen and heart organs and its meridians. Cardiac tonic – action similar to cardiac glycoside. A small dosage can increase the contraction of heart, but a large dosage can cause toxic reaction. Increase the production of white blood cells and prevent the decrease of wbc. Invigorating primordial qi, tranquilizing the mind, improving wisdom, promoting the production of body fluid to quench thirst, tonifying the spleen and lung and delaying senility. It is used for : (1) Debility due to severe and long-standing diseases; (2) Magersucht, poor appetite and loose stool; (3) Insomnia, amnesia, palpitation and severe palpitation, etc. Take 3 grams of ginseng slice orally, once a day, Or, take 5-10 grams for decoction, which is to be taken in several doses. It is contraindicated for those with excess syndromes, heat syndromes and sufficient vital-qi, black false hellebore, faeces trogopterorum or Chinese honey locust should be avoided to be used together with ginseng. 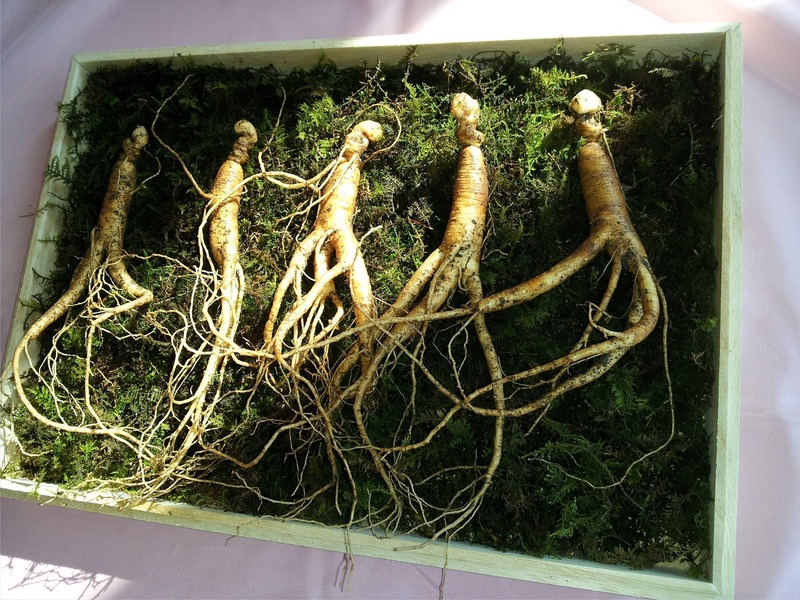 Ginseng efficacy may be reduced if one drinks tea or has radish during administration period. function; (5) Stimulate marrow hemopoiesis and liver detoxification; (6) Improve adaptability. “Ginseng abuse syndrome” may be induced if one had a long period of continuing consumption of big dosage. One consumption of extremely big dosage may lead to death. Taxation damage with low food intake and lassitude; stomach reflux; efflux diarrhea; vacuity cough with rapid, distressed, dyspneic breathing; spontaneous sweating; fulminant desertion; fright palpitation; dizziness; impotence; frequent urination; uterine bleeding; chronic fright wind; enduring vacuity; insufficiency of qi, blood, and fluids. Used for gastric carcinoma, lung cancer, carcinoma of esphagus, mammary cancer, tumor, carcinoma of uterus, malignant lymphoma. Also used for Hodgkin’s disease, chorionic epithelioma, acute lymphocytic leukemia, acute monocytic leukemia, lymphocarcinoma, reticulum cell sarcoma, hypertension and primary thrombocytopenic purpura. External application for burns.